gifts is the latest site-based work by choreographer Shannon Hummel. In the 20th anniversary season of her company Cora Dance, Hummel pushes the limits of confinement and imagination, sequestering dancers and audience in an intensely isolated location – undisclosed until performance – to paint a harsh world where value is defined by circumstance. gifts calls into question whether persistent belief in future rewards is worth pushing through and dismissing the accessible pleasures of the present moment. A journey of textures, tastes, sounds, smells, and images – real and imagined – gifts is a frank look at a world absent of sensuality whose possibilities for rejuvenation are available only in the imagination. Backstage Crew: Nicole Assanti, Nahisha McCoy, Henry Pires, Evangelina Vargas. gifts premiered January 22-26, 2019 in Red Hook, Brooklyn. Stay tuned for future performances at giftsbk.com. Shannon Hummel’s COMMON DANCES premiered in September 2015 featuring 18 short works, repeatedly performed in over 30 locations throughout Red Hook, Brooklyn. Each dance, though small in scale, is the ticket to intimate spaces. Equal parts dance “scavenger hunt” and self-guided walking tour COMMON DANCES is Hummel’s love letter to the entire neighborhood and its people. 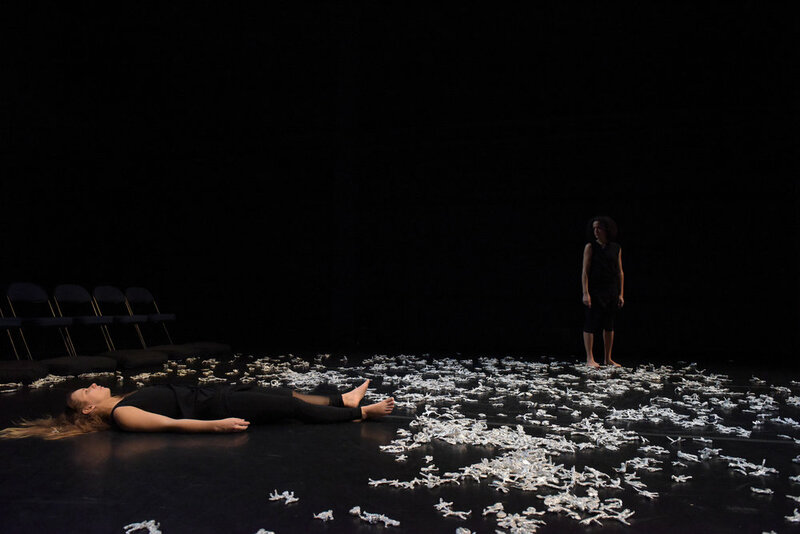 Inspired by the ordinary, beautiful moments of loss, love, struggle, surprise, forgiveness and resolution that we all share, COMMON DANCES takes place on living room couches, park benches, at dining room tables, in church pews, bars, restaurant booths, hallways and even inside of cars. Each short gem is an invitation to get to know all parts of the community on a broad, yet personal scale. 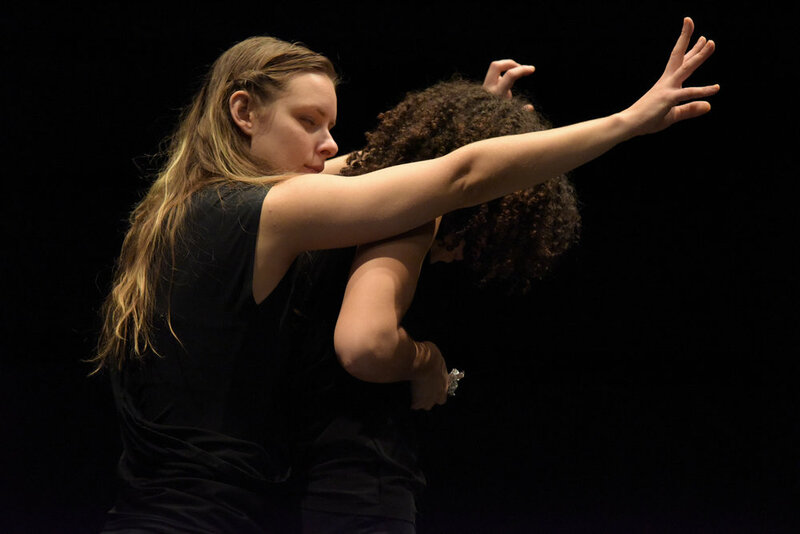 From the hallways of public housing to bars, parks, cars and the breathtaking waterfront of Red Hook, COMMON DANCES challenges audiences to explore the entire Red Hook community, through its people and their stories. Performers: Performers: Cora Dance Company Members: Kelly Bartnik, Sarah Burke, Katie Dean, Solomon Goodwin, Nadia Tykulsker; Supporting cast: Yancy Greene, Megan Harrold, Angelic Ortiz, Karen Ross, AJ Sharp, Isabel Umali; Guest Performers: Stephanie Batchelder, Cynthia Thompson, Carolyn Hall, and members of the Cora Youth Company: Mykie Laidlow, Dontae McCoy, Phoebe Pfaffman, Claire Sifton, Mateo Vidals. Music credits and a full list and map of all locations and community partners available upon request. Made possible through the generous support of The Puffin Foundation; the New York State Council on the Arts Re-grant Program (administered by the Brooklyn Arts Council); the NYC Department of Cultural Affairs; the office of Councilman Carlos Menchaca; and by the significant support of Cora’s individual contributors. 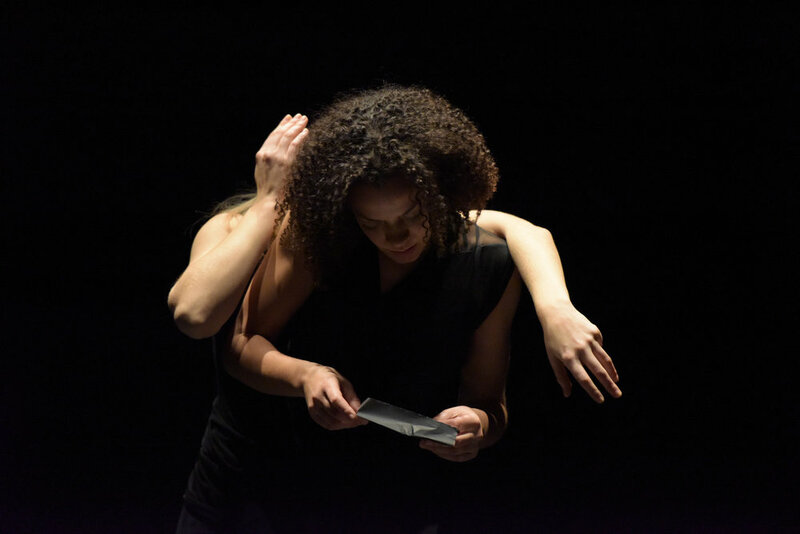 Performed by Katie Dean and Calia Marshall, down here is a dance of attachments existing because of, in spite of and within the compromises we make to survive working together. down here makes visible, with the help of hundreds of tiny silver dolls, the little scars we leave on one another in our pursuit of control. At its core, it is simply about relationships; to each other, to outside forces we cannot control and to our own power to knowingly and unknowingly harm and heal. Music: Richard Einhorn "Voices of Light"